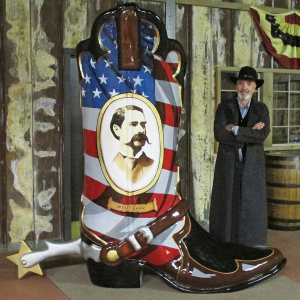 The BIG BOOT at Binion’s – A Fun, Exciting Project! 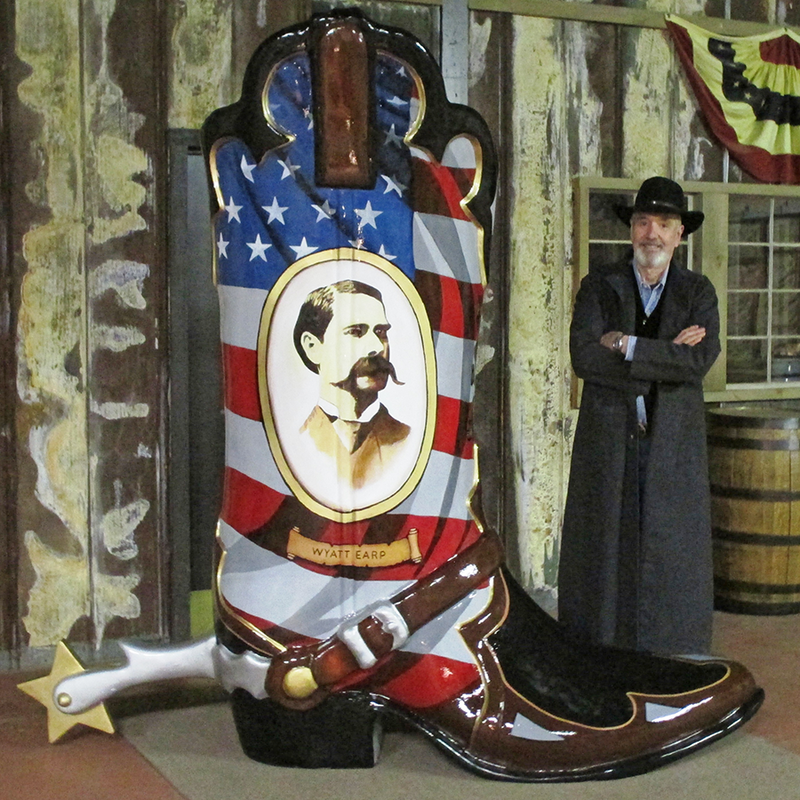 Ole Bob standing next to BINION”S BIG, “We Love Liberty” BOOT, designed and made especially for Binion’s Roadhouse. “A VERY LOOOOOOOOONG project, but well worth it”, according to Bob. “It’s the only one in the world”. 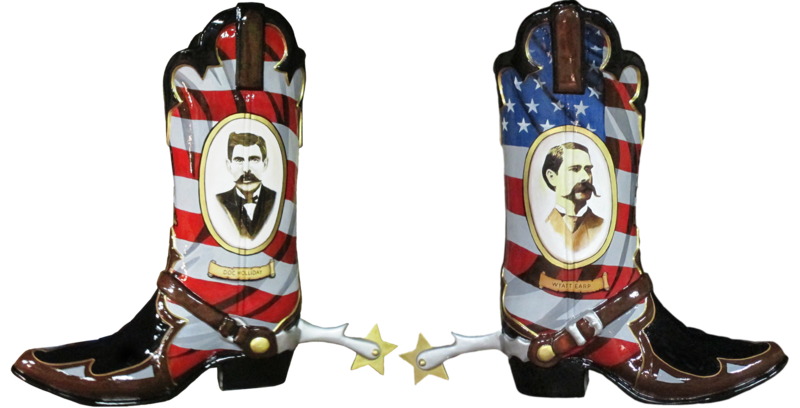 Wyatt Earp is on the right side, Doc Holiday on the left. Both were survivors of the famous gunfight at the OK Corral, Tombstone, Az, 1881. Painted on the front, “U S A”. Bob says, ” We’re lucky to be here. This is the best country in the world.” Click Image Below for Larger View. Bob wins another Texas Holdem Poker Tournament, this time at Fabulous CAESARS PALACE in Las Vegas, October 25, 2013, taking 1st place in a field of 32 players. Here he is being congratulated by Jeffrey Vanderlip, Caesar’s Poker Room Shift Manager. Las Vegas NV: Photos of Binion’s Gambling Hall, Hotel & Steakhouse were recently presented to Bob Quattlebaum by Casino General Manager, Tim Lager. The photos are on display at Binion’s Roadhouse. BR strongly encourages everyone to visit our good friends at BINION’S HORSESHOE CASINO, FOUR QUEENS CASINO & HOTEL and all of the other fun and exciting places, DOWNTOWN, LAS VEGAS.